Dreamworks Animation has released four new character posters for Megamind, as well as a new trailer featuring the voice talents of Brad Pitt, Will Ferrell, Tina Fey and David Cross. 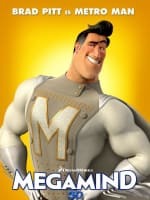 A satirical take on superhero movies, Megamind Ferrell plays the notorious titular villain loses his oomph after he accidentally kills his nemesis, Metro Man, voiced by Pitt. 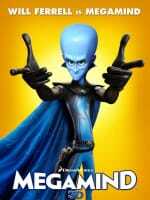 Megamind opens November 5th. 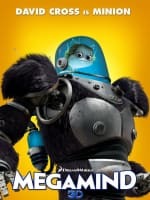 Check out the four new posters below, featuring Megamind, Metro Man, Roxanne Ritchie, and Megamind's Minion, and see the new trailer after the jump! 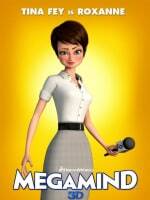 See more of the film in our Megamind trailers gallery and our Megamind pictures gallery!